COMMENTARY: Local boxing historian says Arreola faces sure defeat in Saturday night’s WBC title fight. In boxing, sometimes having a huge fan base and being known as a local hero is good enough. Chris Arreola, who has fought out of Riverside (Calif.) for all of his 13-year professional career, can be considered the uncrowned heavyweight champ of the Inland Area. 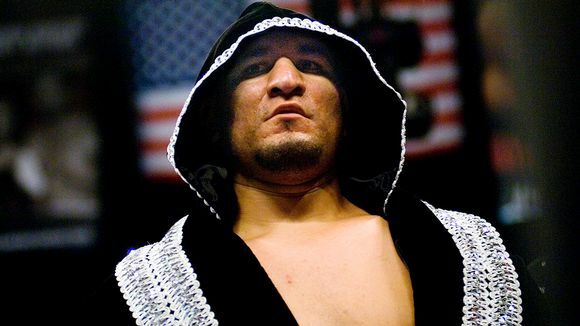 “Arreola is a tough guy who is willing to fight anyone. He definitely was once a legitimate contender,” said Don Stover, a former boxer and local boxing historian. But dreams of retirement have yet to persuade “The Nightmare”, who mysteriously gets his third chance at the World Boxing Council heavyweight championship on Saturday night vs. Deontay Wilder in the Wilder’s hometown of Birmingham, Alabama. Arreola, 35, has compiled an impressive 36-4 (31 KOs) record, but he’s well past his prime and may be about the only person who gives himself a chance against the 6-foot-7 Wilder (36-0, 35 KOs), who remains unbeaten. Arreola usually weighs in at about 245 pounds when he should be 220. Also, his record would be better but his most recent win — a split-decision over Travis Kauffman in San Antonio (Tex.) seven months ago — was overturned due to a positive test for THC (marijuana use). The fight was ruled a no contest. Based upon his recent efforts (two losses, one draw, one no contest in his last six fights), Arreola has accomplished nothing worthy of deserving the chance at the WBC championship, considered the most credible of the many title versions with a lineage reaching back to Muhammad Ali, Joe Frazier, Larry Holmes and Mike Tyson. That Arreola will be prepared to fight Wilder is questionable, having had just over a month to get into shape. Further, previous positive tests for marijuana use show a lack of championship quality. And there’s no reason to believe Arreola has quit marijuana, a substance that could certainly affect his much detailed lack of endurance. So whether or not Arreola comes into the fight in good shape doesn’t matter when he gets the title shot as a replacement for Wilder’s original opponent, Alexander Povetkin, who tested positive for a performance-enhancing drug (meldonium). Why was Arreola picked as Povetkin’s replacement when he’s not currently ranked in the top-20? Stover said it’s because no one wants to step in the ring with Wilder. Unfortunately, Arreola already has the face of a champion and the body of a sumo wrestler. Chris Arreola has fought out of Riverside (Calif.) for all of his 13-year pro career.